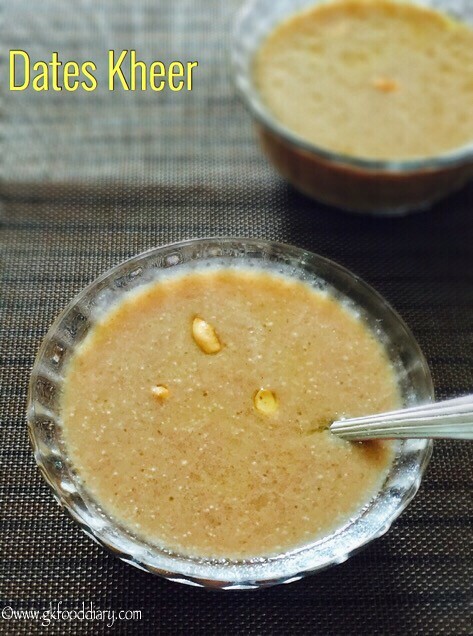 Dates kheer – a quick, healthy, no sugar kheer made with dates, nuts, dry fruits coconut milk. 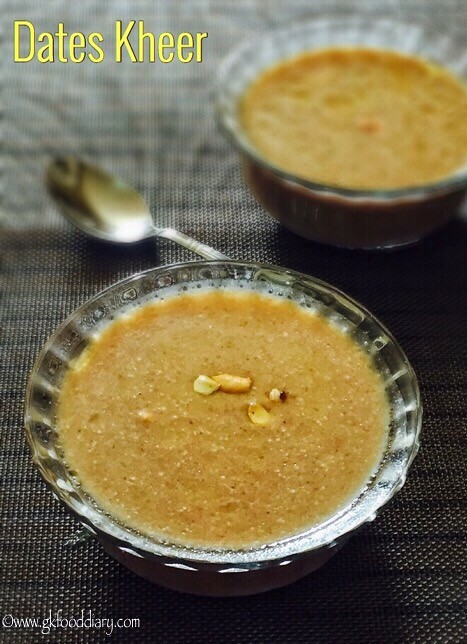 This delicious dates kheer recipe is very easy to make within 15 minutes. Don’t underestimate the taste of this dates kheer by it looks, it tasted so good and my little one finished this yummy kheer in no time:) Do try for your little ones and family to believe it! It can be served as a quick dessert for babies from 8 months after introducing dates separate. Now Let’s get on to check how to make this easy dates kheer recipe for babies, toddlers & kids. 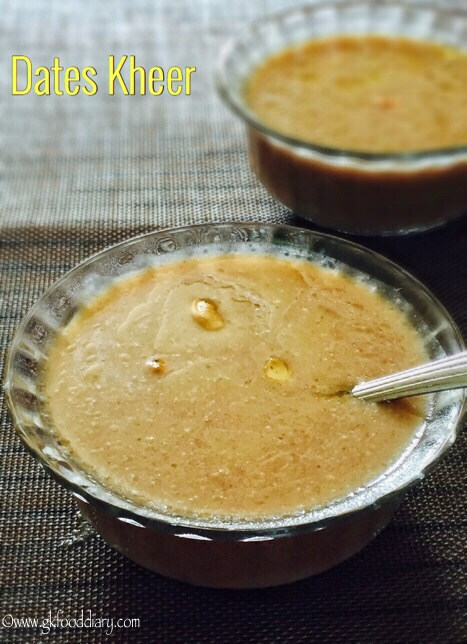 Dates Kheer - easy dates kheer recipe with coconut milk. Keep all ingredients ready. Chop dates roughly and keep it ready. 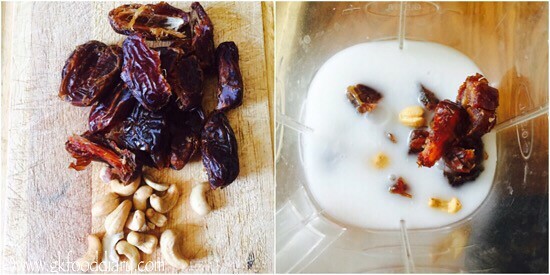 Now grind chopped dates, cashews and half of coconut milk in a blender until smooth. Don't add formula milk (if using) now to blend. If the dates aren't soft enough, soak it for little time and then grind it. Transfer the blended mix to a saucepan and heat it. Mix well and cook it for 3-5 minutes or until the raw smell of dates leaves. Then lower the flame and add coconut milk. Cook it for another 5 minutes (with stirring in regular intervals) or until it thickens and creamy consistency is reached. Add ghee and Switch off the flame once done. Cool it down. If using formula milk, heat the dates mix with ghee without adding formula. Prepare formula milk separately and add it to the dates paste once its cooled down. 1. Keep all ingredients ready. Chop dates roughly and keep it ready. 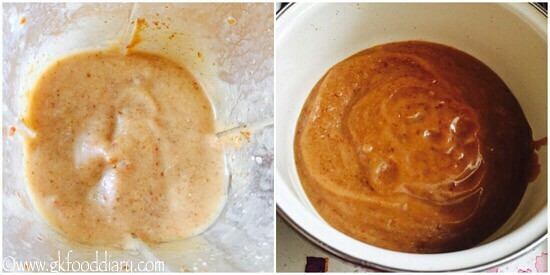 Now grind chopped dates, cashews and half of coconut milk in a blender until smooth. 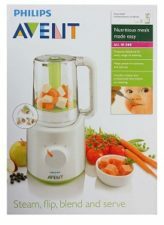 Don’t add formula milk (if using) now to blend. If the dates aren’t soft enough, soak it for little time and then grind it. 2. 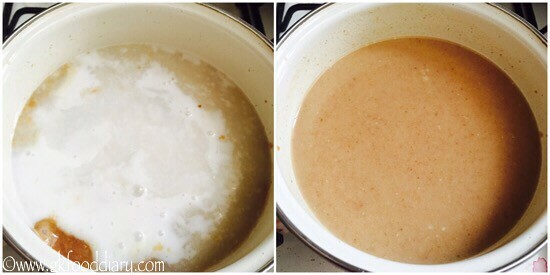 Transfer the blended mix to a saucepan and heat it. Mix well and cook it for 3-5 minutes or until the raw smell of dates leaves. 3. Then lower the flame and add coconut milk. Cook it for another 5 minutes (with stirring in regular intervals) or until it thickens and creamy consistency is reached. Add ghee and Switch off the flame once done. Cool it down. Ghee fry few cashews and dates if desired and add it to the kheer. Serve the dates kheer warm or cool. Soak dates in water or coconut milk for sometime for easy blending and to get a smooth paste. Add ghee fried cashews and few dates to the kheer at the end to make it more tastier and appealing kheer for older kids and adults. For small babies quarter portion of this kheer would be sufficient as a dessert. After adding coconut milk don’t let it boil, keep the flame low and stir it until it gets thick. Otherwise the coconut milk may get curdled. You could also use cow’s milk to make this dates kheer for babies above one year. This dates kheer gets little thicken after cooled down, so switch off the flame accordingly. You can add little jaggery if the sweetness of dates are not enough. You could also add fruits of your choice to this dates kheer. Make sure to introduce each ingredients separate to your baby, before you try this dates kheer recipe. Really amazing.. And very satisfied with the recipes… Thank you so much…. helloo.api… I was need dates kheer recipe for my baby. my baby ill and doctor recommend this kheer… my baby 13 month old but he can’t bring up teeth…. and he so weak in 2 3 month…. tell me a good recpie for my this problem…. I’m very upset…. please api.. .
HI CAN V USE FM TO PREPARE PORRIDGE? i’m beast feeding my baby,she is 11months old i’m using FM while preparing porridge and with fruit purees.is that ok? kindly reply me..
Can I use breastmilk for 7 month old and use the same recipe? have you tried with that?